The big picture: The digital age has pushed the cold, hard cash of old to the side, but nowhere has money gone as digital as in Sweden. 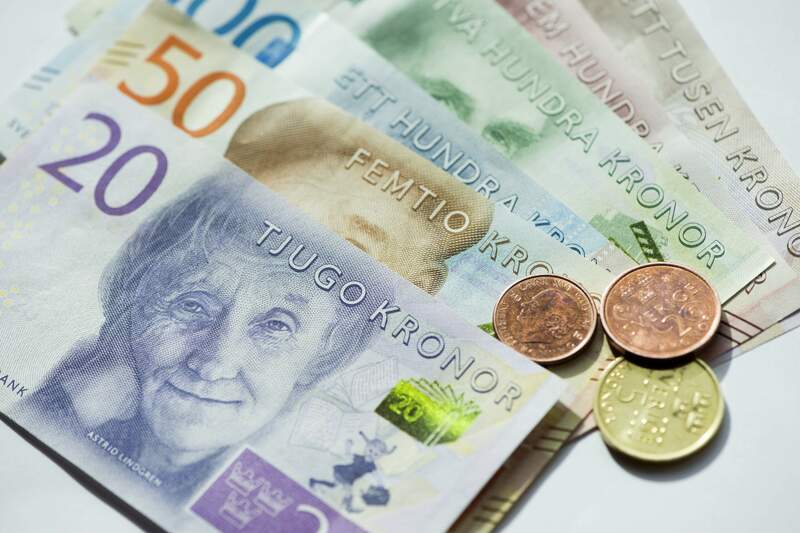 Half of all Swedish retailers predict that they’ll have stopped accepting cash payments by 2025, and half of the country’s bank branches have already stopped accepting cash deposits. Coins and notes make up just 1% of Sweden’s economy, compared to 8% in the US and 10% in Europe. Paying with a card or phone or just buying things online first gained popularity due to its convenience, but as the New York Times notes, it’s now at the point where cash is so rare in Sweden it’s costly for shops to support it. After noticing that only 1% of customers used cash while employees were spending 15% of their time counting, organizing and storing it, an Ikea store decided to stop accepting cash temporarily. Only 0.12% of customers have been unable to pay without cash, mostly in the store's café. The move hasn’t been popular with everyone, however. The nearest branch of the Swedish National Pensioners Organization has been organizing protests against Ikea's experiment, saying that it has alienated many retirees that used to pay for meals at the café with cash. And considering one in ten Swedes admit to not being comfortable using digital payment systems, the government has been listening to the complaints closely. Sweden’s banks are fighting back though, in an attempt to push cash out of the economy completely. Digital currency is far more profitable for banks, as they get to profit from the fees attached to debit cards, credit cards and Sweden’s bank-developed payment app, Swish. Combined, those three are how 95% of purchases made by young adults are paid for. One in five Swedes say they no longer use ATMs. After years of banks being terrorized by violent robberies, banks also much prefer to be protecting their money digitally. In 2008 there were 210 robberies of Sweden’s 1400 bank branches, but last year there were just two. Sweden is also at the forefront of exciting new digital payment technologies, including microchips that have been implanted into 4000 peoples’ hands, enabling them to pay via high-five. Next year the central bank will begin implementing e-krona, the digital currency that may replace Sweden’s traditional krona. If nothing else, Sweden has shown the world that a nearly cashless economy works, and it won’t be too long before other countries begin to see similar trends.